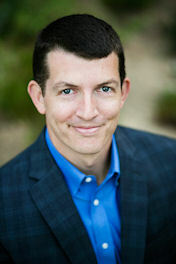 Welcome to the website for the private practice of Dr. Jeremy Wilkinson. This practice continues to work to be an integral part of our community where people come to work out problems in their lives in a pursuit of wellness and satisfaction. I strive to provide comprehensive, tailored, and superior care. In my office, I subspecialize in pediatric psychiatry. However, I am also board certified and trained to work with adults. I focus on treatment cases, but also provide second opinions and consultations. This practice also carves out time for community education, outreach, and support for parents, pediatricians, school counselors, and civic organizations. In parts of most days, I fulfill commitments to teaching as Adjunct Faculty at San Mateo County Behavioral Health and Recovery Services, and as Adjunct Clinical Assistant Professor at Stanford Child and Adolescent Psychiatry. The purpose of this site is to broadly describe to prospective patients and parents my approach to treatment, qualifications, and policies. It is also a resource for current patients. Have a look around. Contact me by email or phone if you have any questions, or if you would like to schedule an evaluation. I look forward to hearing from you and assisting however possible. Thanks!